Why should you need to spend a fortune on back to school fashions and uniforms for your children? Cookie’s The Kid’s Department Store, already known as the #1 School Uniform Headquarters in the US & the World’s Largest Kids Department store, is the perfect destination for the best deals and savings for your back to school shopping needs. Now when you shop in our School Uniform, Infant & Baby, Boys Fashion, Girls Fashion, Toys, or Clearance section, simply enter the coupon code EARLYBIRDSM in at checkout to receive 10% off your entire order – no minimum purchase required! We also offer a Price Match Guarantee to always ensure that you will be finding the lowest prices for your back to school shopping needs. 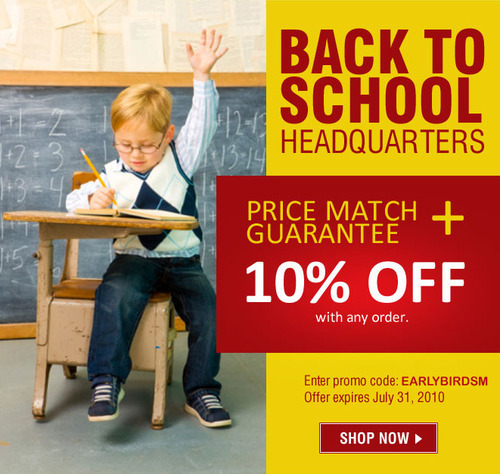 To receive 10% off order: Enter coupon code EARLYBIRDSM in at checkout on CookiesKids.com. No minimum purchase required. Offer expires July 31, 2010. 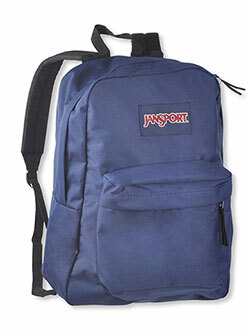 To receive free shipping: Order must consist of only school uniform items with a merchandise cost of $99 or more. No coupon code required at checkout. Offer is for free ground shipping to the continental United States. Price Match Guarantee: Click here for more information. Want to receive emails with sales like this? Subscribe to our newsletter and be the first in the know!